St Christopher's School is a non-profit making British private school with over 2200 pupils from around seventy nations. Located in Isa Town, Bahrain (senior campus) and Saar, Bahrain (infant and junior campuses), offering British curriculum education. It offers primary to secondary education ranging from reception to Sixth form. We always take part in the U11, U13 and U15 BSME Games. 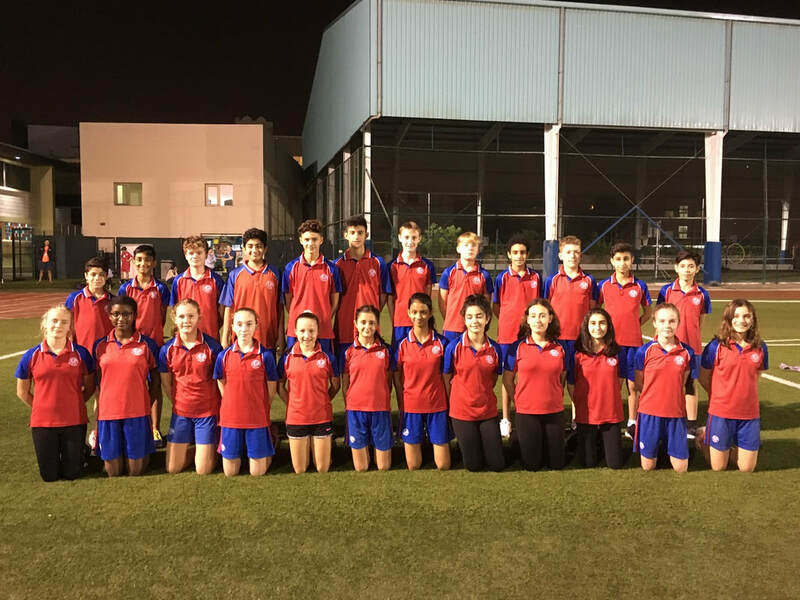 Within the last few years the Senior School has hosted a number of BSME Games many at Under 13 and Under 15 level. These are events our students thoroughly look forward to participating in. For most, it is the highlight of their school sporting career. Maya Hansen, Jude Eissa, Lucy Vaughan, Madeline Stewart, Katelin Reed, Noha Barbir, Aastha Paris, Haya Al Nusuf, Alice Brandreth, Talia Al Hamar, Isabel Looby and Leanne Cockerill.